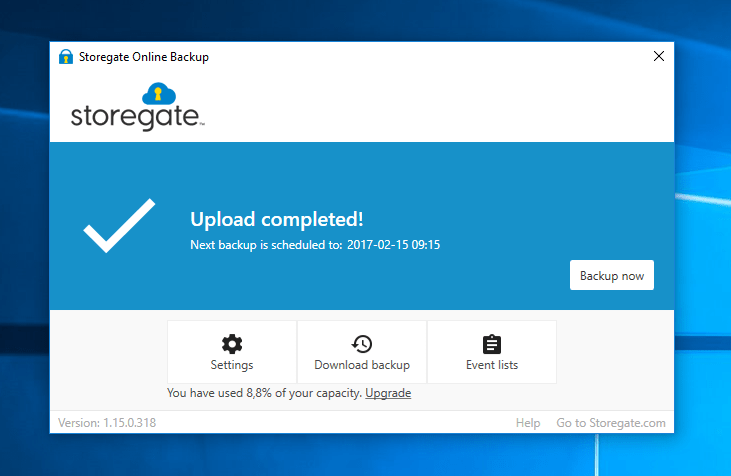 Storegate AB now releases a new version of its backup software. This 3rd generation of the product since 2003 is called Online Backup 2.0 and the development has focused on improving the user experience. The big difference between the Storegate software and conventional backup services is that all information is stored in its original format. Thereby users that lose files due to a computer crash, theft, or any other reason, immediately can access their files in a usable format. Most backup software requires installation of recovery software or other methods of restoration of files to the original format when recovering a backup. ­– From the start in 2003, our philosophy has been to provide users a safe backup service that keep their data readily accessible in the cloud. We believe in simplicity for our customers and that no one should have to be an IT-technician to maintain his or her digital information safe, says Bertil Hedén, Business and Product development manager at Storegate AB. The software will prompt users to update when the new version is available. Storegate is proud to inform that we have been chosen by Legal Intelligence to secure, backup and distribute data in a new cloud solution for legal professionals and businesses.